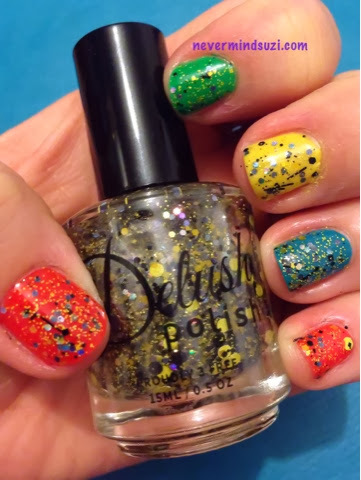 Here's another fabulous glitter topper from Adrianna at Delush Polish. Two Bees in a Pod is a clear base with yellow and black micro-glitters, squares and hexes. There's also black bars and holographic hexes. 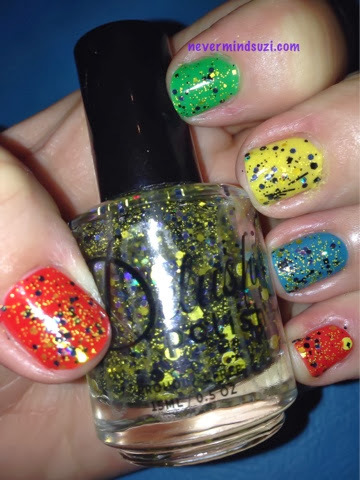 Wanting this glitter to really "pop" I decided to go with skittles. I used a variety of Golden Rose, Flormar and Ciaté (see below). Two Bees In A Pod is so cute! !